Facebook Messenger is evolving into an all-in-one messaging platform, and now a new feature is in the works that let users overlay a chosen emoji on their Messenger profile picture for 24 hours as a way to let people know their current status without necessarily requiring an outright post. While users emoji can be found in the Active tab on Messenger, the new feature could potentially expand "Your Emoji" to show up even within the inbox and message threads. 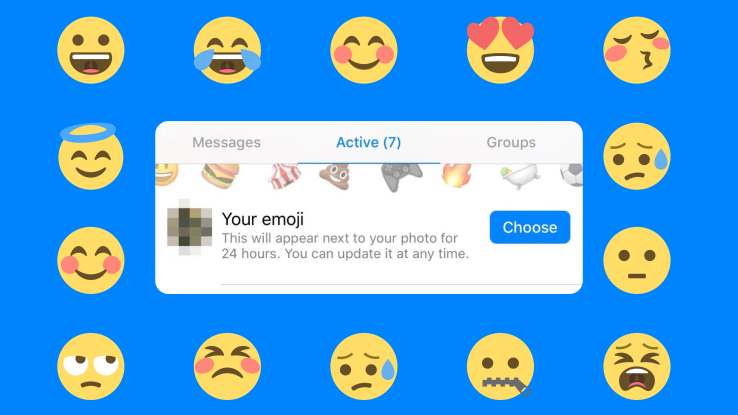 Matt Navarra, director of Social Media for TheNextWeb shared screenshots about the new feature which is currently been tested: the ability for people to add an emoji to their profile photo in Messenger to let their friends know what they’re up to or how they’re feeling in the moment. It allows for offline meetup opportunity just like AOL Instant Messenger’s old away messages, and there’s a ton of other potential behavioral tags like "red circle" which could mean don’t interact, or GPS dot-style blue diamond could mean out on the town. While the moon emoji can be used to signal an after party is going down later. Facebook aim to position the messaging platform as all-in-one hub for meaningful interactions, not just passive media consumption, by opening up better signals to help conversations. And perhaps, Messenger is the best-poised app to make an offline meetup tool, to spur conversation and hang outs in ways never before thought possible.